Most backers of this smartwatch will get the watch with a leather band, while the steel band will arrive separately at a later time due to supply issues. 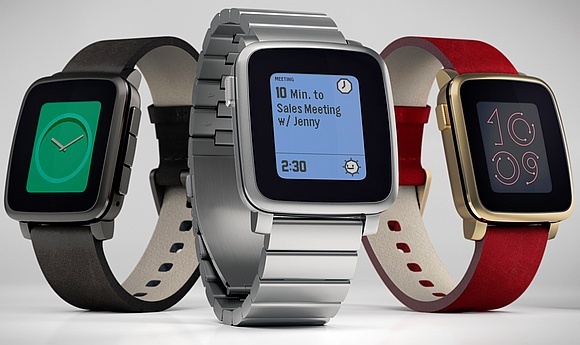 Pebble Time made its debut as a Kickstarter project, and first shipments reached their destination back in May. Obviously, only early Kickstarter backers received their smartwatches back then, but now Pebble Time is available for anyone interested. According to the Kickstarter page of the project, "78,471 backers pledged $20,338,986 to help bring this project to life." The latest news update reveals that Pebble Time Steel backers will receive both a leather band and a metal one with their watches, but the metal bands will arrive separately at a later time. Fortunately, Pebble is covering the additional shipping costs caused by this delivery plan. They also revealed that, if the availability of the metal bands improves, the watch and the two bands will ship together. The same source reveals that first batches of Pebble Time Steel units left the factory on July 27 and are headed to distribution centers in the US, Hong Kong, Australia, Canada, and Ireland. Backers should keep an eye on their inboxes since tracking numbers should be available next week.